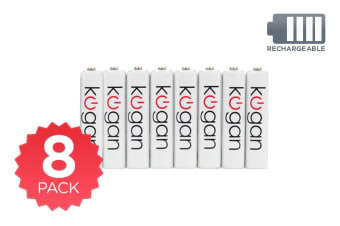 These excellent quality rechargeable NiMH 800mAh 9V batteries can be recharged over 500 times! The 8 Pack Kogan Rechargeable AAA Batteries have a long life thanks to their superior quality that allows for over 500 recharges. Not only will you save money as your RC toys, radios, remote controls and other devices run longer, your savings will be even bigger in the long run with this bundle and save pack. Batteries are ok but comparatively low kWh compared to other brands.